I just came home from a week in Mexico with my best friend. 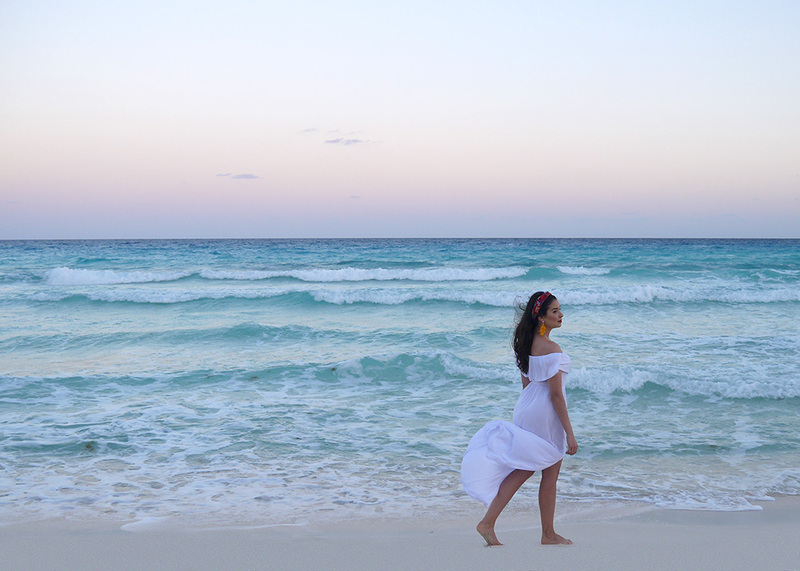 We had the most wonderful, relaxing time in Cancun – but I’ll wait to tell you all about it in my next post. 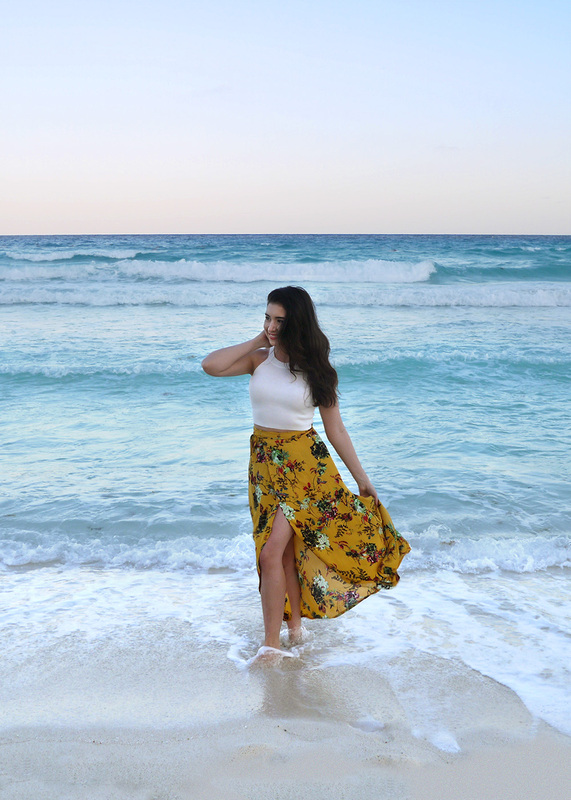 I have so many stories and photos to share, but for right now, let’s focus on vacation style, and what to pack for a resort vacation. If you’re going somewhere hot, you’ll likely be spending the majority of your time either swimming in the sea or laying by a pool – so you’ll be living in one-piece bathing suits, bikinis, and cheapie plastic flip flops most of the time. 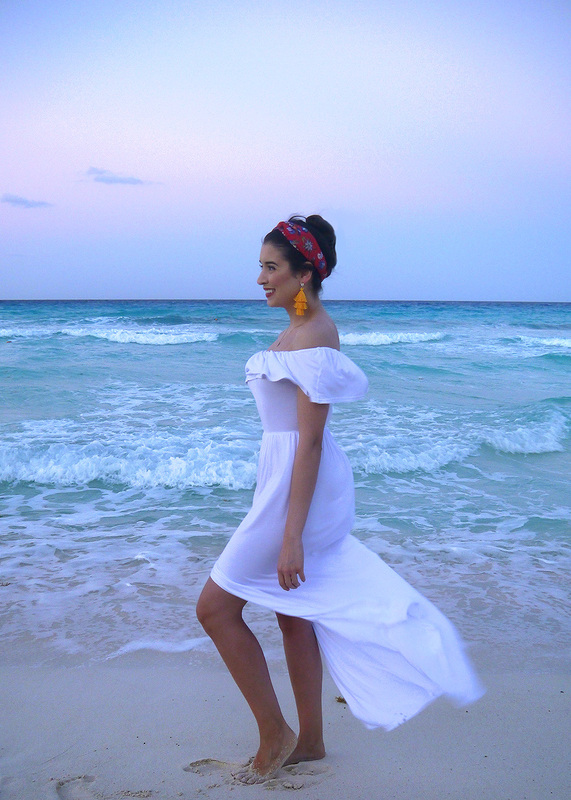 But many resorts also have nightlife, activities, and fine dining restaurants, so in addition to shorts and beach cover-ups, it’s a good idea to pack a few nicer outfits, too. 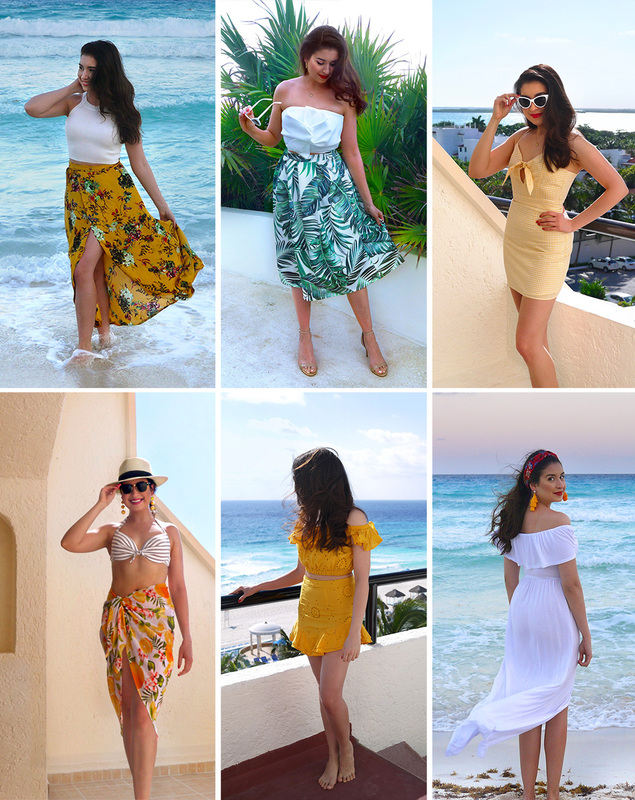 Here are some of the dressier outfits I wore while on vacation in Mexico. I’ll link the items that are still available below each photo – the majority are super affordable. At the end of this post I’ll include a list of what to pack for a resort vacation. Which look was your favourite? Leave me a comment below and let me know – and don’t forget to pin it! And now, as promised, your packing list! Painkillers, tampons/pads – because ya just never know. I hope you enjoyed this post and that some of this was helpful! Stay tuned for the full post all about the resort we went to and the shenanigans we got up to.